In a shocking and unexpected twist, MMA fighter Conor McGregor announced his retirement over twitter in the early hours of Tuesday morning. McGregor’s last fight was back in October when he lost to Khabib Nurmagomedov. It was a controversial fight as McGregor and members of his team attacked the bus carrying Nurmagomedov and other UFC fighters prior to the card. The a melee broke out after the fourth-round submission loss, which included Nurmagomedov leaping out of the Octagon to attack McGregor’s training partner, as well as a brawl inside the cage featuring members of both fighters’ teams. Both men were fined for the incident and McGregor was suspended six months by the Nevada State Athletic Commission for his involvement, while Khabib received a nine-month ban. McGregor was also arrested earlier this month after allegedly smashing a fan’s phone outside a hotel in Miami. On Monday, hours before he announced his retirement, McGregor was on the Tonight Show with Jimmy Fallon and didn’t indicate that he had any plans to retire, in fact he spoke about a potential upcoming fight. 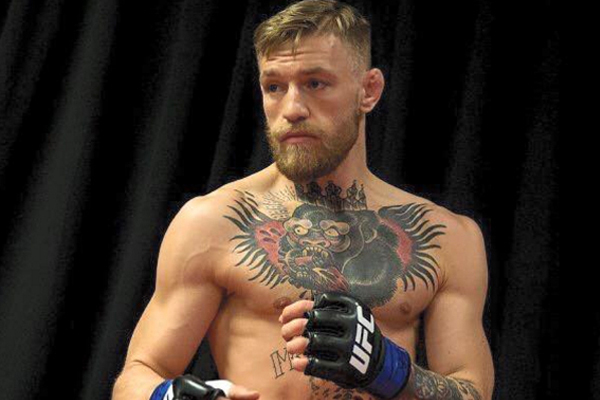 “We’re in talks for July,” McGregor said, as relayed by ESPN’s Brett Okamoto. “We’ll see what happens, a lot of politics going on. The fight game is a mad game. But like I said, to my fans, I am in shape and I am ready. If this is indeed the end of McGregor’s MMA career, he retires as both a former UFC lightweight champion and former UFC featherweight champion with a record of 21-4.